Command Sgt. 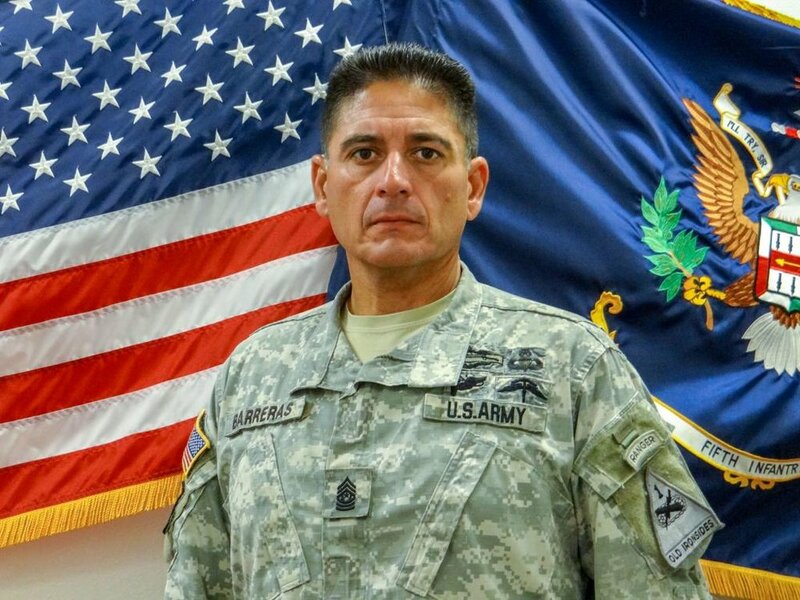 Maj. Martin "Gunny" Barreras, 49, of Tucson, Arizona, died on May 13, 2014, of wounds he sustained while leading a successful rescue mission in Herat Province, Afghanistan. Barreras joined the Marine Corps in 1983 and the Army Rangers in 1988. He was the senior enlisted adviser in the 2nd Battalion, 5th Infantry, 3rd Brigade Combat Team, 1st Armored Division, Fort Bliss, Texas.